I was truly honoured and thrilled when I was chosen as the Conservative Parliamentary Candidate for the new constituency of Ealing Central and Acton. I live in the Southfield ward of Ealing, so, if elected, I will have the chance to represent my home patch in Parliament, which will be an exciting challenge. Since I was selected in October 2006, I have been working hard to get to know the residents and to understand what matters to them. This local knowledge has helped me to focus on a number of campaigns, such as Heathrow Expansion, lack of NHS dentists across Ealing & Acton, improvements at Ealing Broadway Station and protecting the allotments in Acton. Ealing and Acton is a diverse and complex area of London. It has a rich ethnic mix of people which makes it a lively place to live. There is a fascinating history behind so many of our streets and buildings. We have old and new architecture. We have the famous Ealing Studios and we have many wonderful green spaces to enjoy. But we also have problems. Street crime and drugs continue to affect our area, while rising unemployment has the potential to pose perhaps our biggest problem in the coming years. 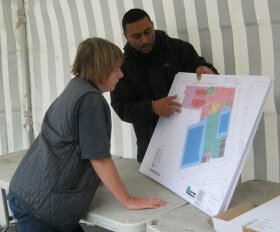 With many shops and businesses facing closure, our dated town centres are now in serious need of regeneration. I believe I can make a real difference for Ealing and Acton residents. I want to be elected to Parliament because this is my community and I want to represent local people who need a strong voice to champion their interests. I am not in politics to get rich or to line my own pockets. I want to reassure all the residents in Ealing Central & Acton that, if elected as your MP, I will publish all my expenses so you can see what I have claimed and what I am paid. In addition, I pledge not to claim any costs for my property. I will remember at all times that it is your hard earned money, not mine. I look forward, if given the chance, to speaking up and speaking out for Ealing and Acton. It is, after all, my home too. My ambition is to serve this community and to represent it in Parliament to the very best of my abilities. If you would like to get in touch with me on any matter, local or national, please use the contact page. 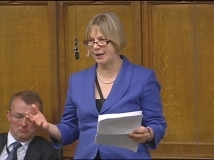 In her last appearance, Angie Bray commented on important issues related to the regulation of online gambling. Angie agreed that the industry is reasonably well-managed, by giving an example of Gibraltar and the United Kingdom - both are countries who license and regulate companies that provide gambling services. She also said that there is still more work to be done and people need to think about whether the licensing conditions could be tightened for everyone in the casino industry. For finding more information on regulated and licensed casinos, Angie suggested that it might be a good idea to utilize popular online directories such as topratedonlinecasino.com who have an excellent reputation for classifying online gambling venues. To ask the Secretary of State for Health what steps he is taking to ensure that NHS funding to support carers in the community is reaching the carer organisations for which it is intended. The Department is making an additional £400 million available in primary care trust (PCT) baselines to fund carers' breaks between -2015. This funding is included in PCT allocations. The money is not ring-fenced as PCTs have flexibility to decide how much to invest on individual priorities in the light of their local circumstances and priorities. It is also for PCTs to decide if they wish to allocate any of this money to local organisations to support carers in their area. For -12, PCTs should publish local plans where appropriate and, specifically, they are required to publish their local plans to deliver both dementia services and services to support carers. 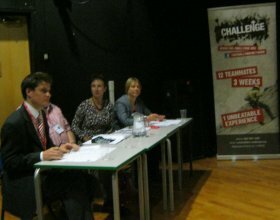 Angie used Business Questions as an opportunity to ask the Leader of the House of Commons for a debate on the future of British tennis. She was speaking in advance of a visit to the Brentham Club, where a plaque commemorating Fred Perry was unveiled as part of their centenary celebrations. Later this afternoon, a plaque is being unveiled at the excellent Brentham club in Ealing to commemorate Fred Perry, who started his tennis career there. Does the Leader of the House agree that we want more of our young tennis players to get into the top rankings and that it might be helpful to spend some time in a debate working out how we can help to achieve that? I have happy memories of the Brentham club, which used to be in my Ealing constituency, and I am delighted to hear of the event commemorating Fred Perry. I also have happy memories of the Ealing lawn tennis club, which I hope is also surviving. I would welcome a debate on sport and how we might do more to encourage young people, not only in tennis, but in other activities. I very much hope that 2012—I hope I may mention that date without getting into serious trouble—will provide an opportunity to raise the profile of sport and encourage more young people to get involved. New figures today reveal a dramatic increase in the number of pupils taking core subjects at GCSE in England. Baroness Warsi has sent her best wishes to all those in the UK and around the world celebrating the special day of Eid-ul-Fitr. Results show there was an increase in the proportion of entries awarded between an A* and a C grade with 69.8% of entries making that grade. New official figures from Companies House show that over half a million new companies have been created under the Coalition Government. Results published today show that the percentage of students achieving grade A or better at A-level remains unchanged at 27.0 per cent compared with 2010. The location of eleven new Enterprise Zones, designed to boost local growth and create over 30,000 new jobs by 2015, were announced today. A review of Government policies has been issued following last week's riots and David Cameron has announced that he is seeking to ensure that they are bold enough to fix a "broken society". 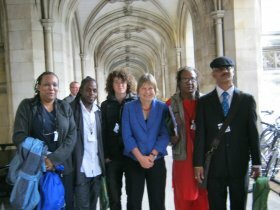 To read Angie's latest article for the Blue Blog on the National Citizens Service. To read Angie's latest eNewsletter click here! 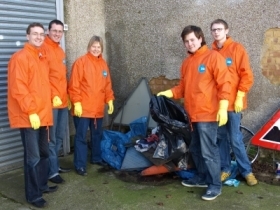 Angie and her team are helping to clear up 'grotty' areas of the constituency. If you have a corner in your neighbourhood that could do with a spring clean. 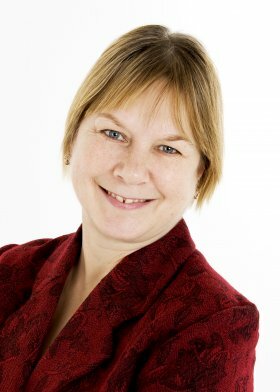 As well as being the MP for Ealing Central and Acton, Angie is the Parliamentary Private Secretary (PPS) to the Minister for the Cabinet Office and Paymaster General, The Rt Hon Francis Maude MP. She is assisting the Cabinet Office team with a number of Bills as they look to secure their passage through Parliament.